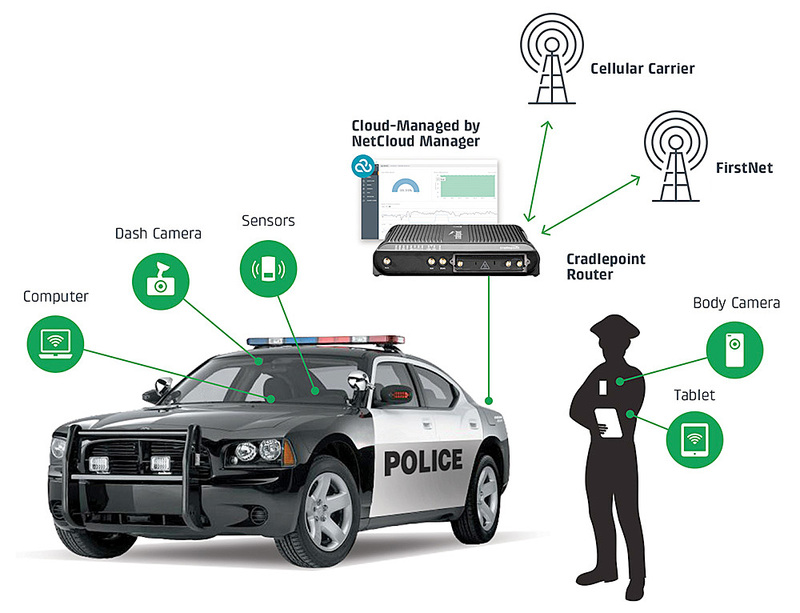 Cradlepoint continues first responder communications leadership with LTE network solutions equipped with the MC400 Modular Modem for use on FirstNet. 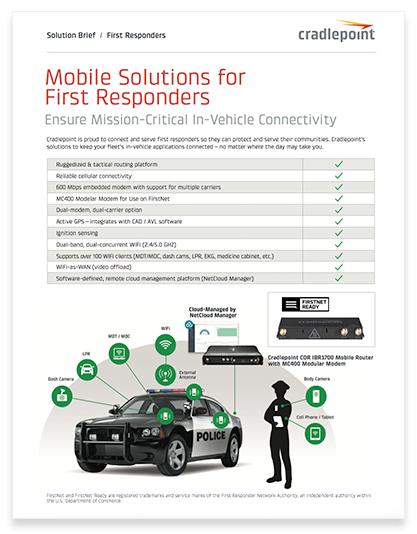 FirstNet features are fully supported, including priorty and pre-emption as well as the Band 14 spectrum. All of Cradlepoint’s dual-modem routers are field-upgradeable and accept the MC400 modem. 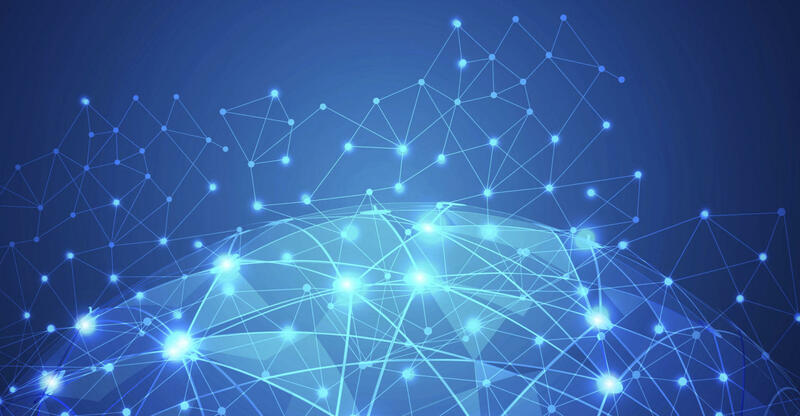 When paired with a Cradlepoint router, this creates a full solution for mission-critical deployments, which includes unified edge security suite, FIPS 140-2 Inside, and SD-WAN capabilities.